Caoilfhinn Hegarty investigates canonisation in a 21st Century Ireland. Share the post "How to become a saint in a modern Ireland"
In a Western world permeated by Christian imagery and traditions, pretty much everyone is familiar with the idea of being a saint. The saints are supremely moral people with an unearthly capacity for goodness and kindness, who have never put a foot wrong in their life. They are vaguely mythical and completely inaccessible. Or are they? What makes a saint; what are the misconceptions people have; and how much does all this even matter anyway in an increasingly secular society? Saints are present in multiple branches of Christianity, from Orthodox to Lutheran, but they are most commonly associated with Roman Catholicism. In historically Catholic countries, their names crop up on street signs, schools, and even sports teams. They still have a hold on the popular imagination too: despite its waning influence, the Church’s canonisation of individuals such Pope John Paul II and Mother Teresa, made national newspapers around the world and drew huge crowds. In spite of all this there is still a lot of misunderstanding around the role saints have in the Catholic faith and what actually makes a saint in the first place. Sainthood is, in essence, the declaration that a member of the faithful has entered Heaven. Contrary to popular belief, this does not happen immediately after death, even if the individual has lived a good life. Instead, Catholicism teaches that there is a period beforehand where people ‘undergo purification’, as the church catechism puts it. This is known as Purgatory. One of UCD’s chaplains, Father Leon, describes it as a process similar to getting ready and dressed up to visit someone’s home and encourages people to think of it as a positive experience, ‘a gift’ rather than a roadblock. Of course, no one on Earth can be entirely sure when someone “gets into Heaven”, but the Catholic Church has developed a fairly punishing criteria for canonisation, that it’s been using in some form since the Middle Ages. First of all, the candidate in question must naturally be dead, in fact the Vatican won’t open investigations until someone’s been deceased for five years. Once the local Bishop begins the investigation an exhaustive search for the deceased papers, writings begin and eyewitness accounts are compiled. When enough information has been collected, it’s presented to the Congregation of the Causes of the Saints in Rome, and the candidate is given the title ‘Servant of God’. Next the Pope himself has to consider the case and decide to declare that the individual lived to ‘a heroic degree’ a life of virtue. Once this is done the candidate is given the title ‘Venerable’. In order to proceed the candidate then has to be proven beyond doubt to have performed a posthumous miracle, something that can’t be explained away by natural causes or science. If this is the case they receive the title ‘Blessed’. It is only when a second, equally scrutinised posthumous miracle is attributed that the candidate can finally be called ‘Saint’, sometimes decades after the investigation was first opened. It should at this point be noted that there were, of course, plenty of saints before the Mediaeval period , including Jesus Christ’s own Apostles and most of Ireland’s best known saints. However individuals such as Patrick and Brigid are “recognised as ‘saints by acclaim’ despite never being subject to the formal canonisation process”. Father Leon tells us that this is because “there was no ambiguity about their reputation for sanctity and so the Church approves of their sainthood without formal recognition through the process of canonisation”; a relief for anyone fearing the loss of a certain public holiday. 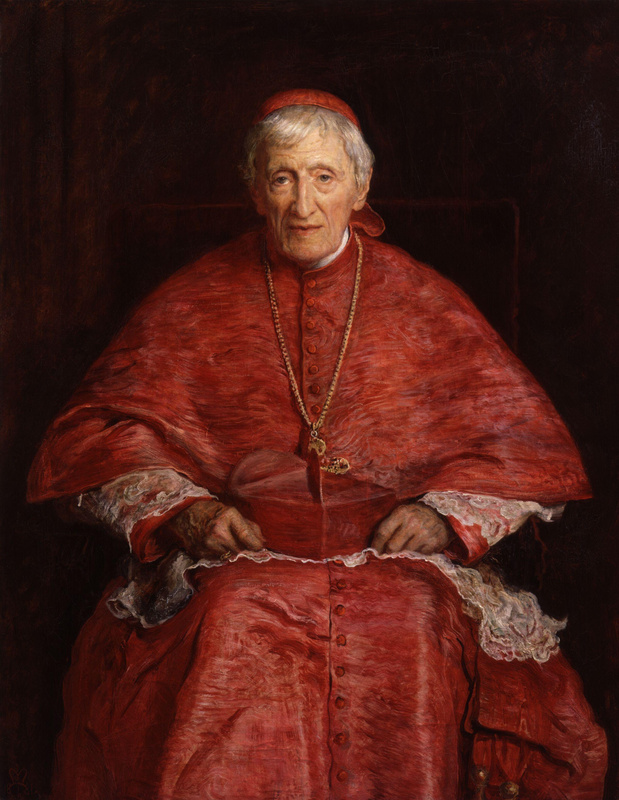 One of UCD’s own founders, the Cardinal John Henry Newman, was given the title ‘Blessed’ by Pope Benedict in 2010, after his intercession was attributed to the recovery of a student in Boston named Jack Sullivan from almost total paralysis. Last year, his second miracle was approved by the Vatican, after the healing of an American woman suffering from a life-threatening pregnancy defied doctor’s explanations. The woman had apparently prayed for Newman’s intercession. Newman, an Englishman, started his religious career as an Anglican priest, before studying Catholicism and deciding to convert in 1845. He became one of the most prominent Catholic theologians in the English speaking world, and believed that the lived experience of the faithful should be recognised as crucial to theological reflection. Father Leon explains that “Newman’s lifework centred on conscience- encouraging people to attend to the ‘still small voice’ in the human heart which, like a compass in thick fog, leads to truth”, he adds that conscience “acts as a guarantee” of the authenticity of Papal authority and has helped steer the Church through difficult periods. A non-subscriber to the Catholic faith, or indeed any faith at all, might consider all this information to be vaguely interesting but ultimately irrelevant, yet it is the belief of Father Leon that “the saints shine like bright stars in the universe, not only for their religious beliefs but also- perhaps more importantly- for their extraordinary human qualities of compassion, mercy, and service towards their fellow humans.” Perhaps the most compelling thing about saints is that they come from all walks of life: some were royalty and some were domestic servants, they lived out their faith in beehive cells, Nazi concentration camps, or from their own family home. By turn they were doctors, scholars, and activists. Ultimately they are intended not only to be examples of Christians, but of the best in humanity. Perhaps that’s something even a secular society can relate to.